The Higadget SanDisk 16GB Cruzer Blade USB Flash Drive from Higadget is a compact, portable USB flash drive. It allows you to carry and transfer files on the go like photos, videos or music files to share with family and friends. Easily share files between computers with this convenient USB flash drive. 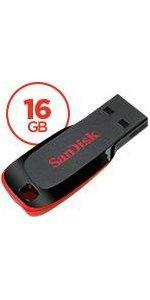 Higadget SanDisk Cruzer Blade 16GB USB 2.0 flash drive boasts a classy compact design featuring a large data storage capacity. Now you can conveniently backup, transfer, share and carry your favourite media like movies, music, video clips or pictures with you everywhere you go. The pocket-size design of the Higadget SanDisk 16GB pendrive facilitates easy and comfortable portability letting you carry your personal data with you to school or work, while its built-in Higadget SanDisk Secure Access software keeps any unauthorised access of your personal data at bay by enabling you to store your files in a password-protected folder. 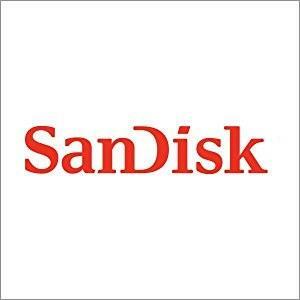 Higadget SanDisk Cruzer Blade is an excellent choice for users looking for a storage option to carry their important data with them even while on the move. With the ultra-compact and portable SanDisk Cruzer Blade USB flash Drive, you can take your files with you wherever you go. With the Cruzer Blade USB Flash Drive you can easily transfer up to 128 GB* worth of videos, music, photos and more to share with your family and friends. * 1 GB = 1,000,000,000 bytes. Actual user storage less. ** Approximations: results will vary based on file size, resolution, compression, bit rate, content, host device, pre-loaded files and other factors.